How to watch Terms of Endearment (1983) on Netflix Argentina! Yes, Terms of Endearment is now available on Argentine Netflix. It arrived for online streaming on October 7, 2017. 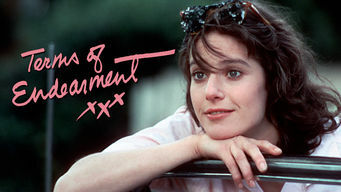 We'll keep checking Netflix Argentina for Terms of Endearment, and this page will be updated with any changes. A widow and her daughter support each other through relationships with various men over the years -- and deal with heartbreaking tragedy. A difficult mother. An independent daughter. Will they drive each other crazy or offer support no one else can?